Robert Maynicke designed this distinguished Neo-Classical building for developer Henry Corn in 1897. 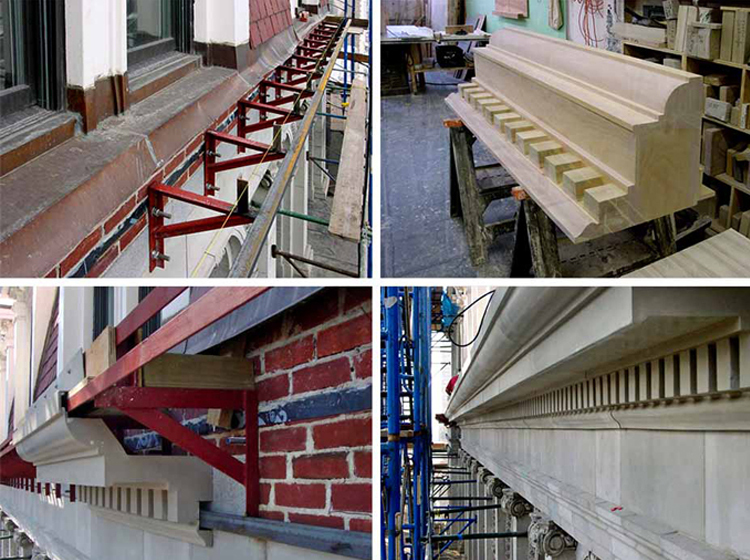 Located within the Ladies' Mile Historic District of Manhattan, the building consists of 12 stories with a penthouse and occupies a corner lot measuring approximately 30’ wide x 120’ long south west of the historic Flat Iron Building. 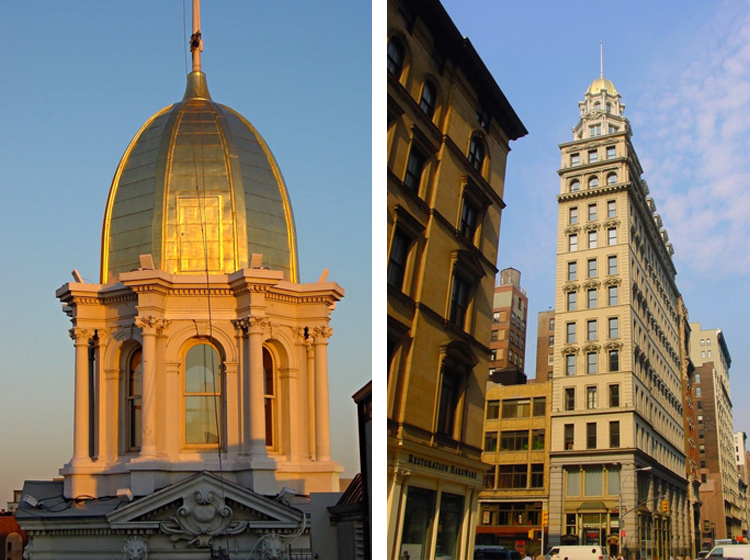 The east end of the narrow Sohmer Piano Building is capped with a magnificent two-story octagonal cupola topped with a ribbed gold dome and flagpole. 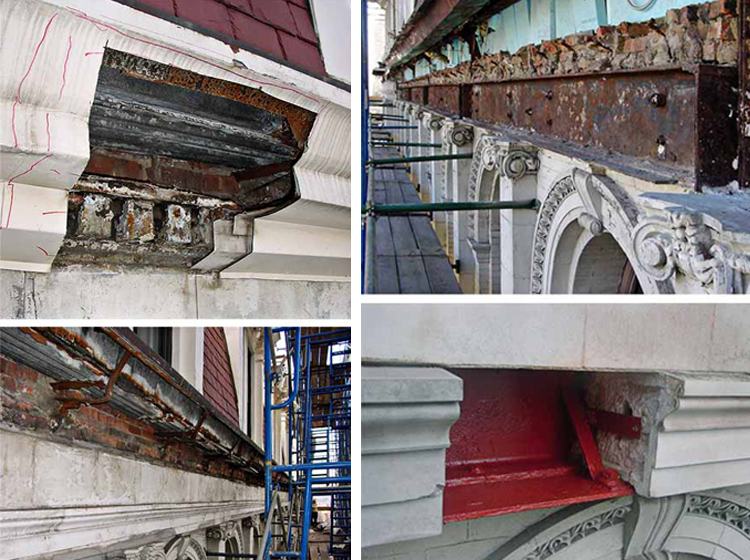 An exterior inspection determined that many of the architectural features were in need of reconstruction and restoration. 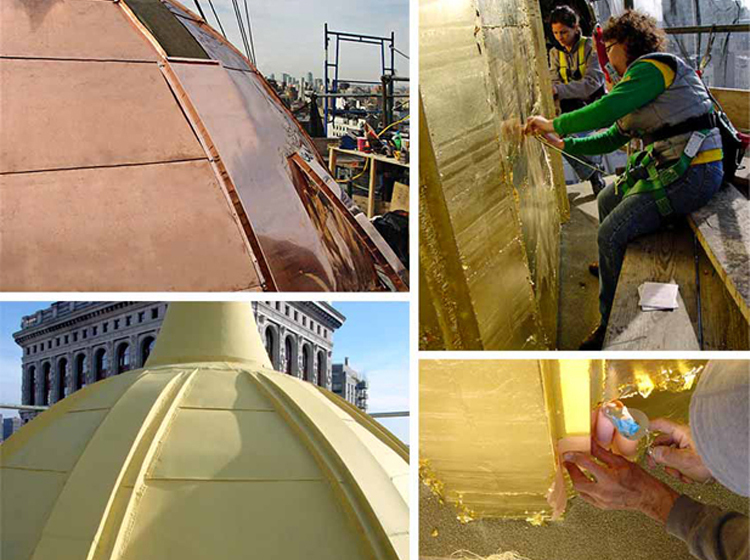 Part of the building-wide repair program included the restoration of the cupola dome, which consisted of waterproofing and re-cladding the dome in copper, and hand applied 24k gold leaf gilding. 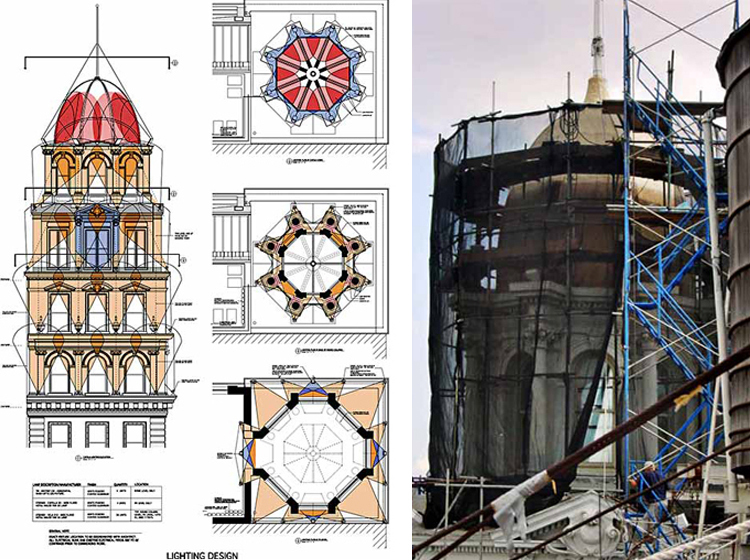 The work also included extensive reconstruction and restoration of terra cotta and limestone features and replacement of a 50-foot long skylight and integrated mansard roof.